It will be the penultimate leg of the HSBC World Rugby Sevens Series, and as well as world-class sport, fans will also be treated to a weekend packed full gourmet street food, live music and entertainment for the whole family. The HSBC London Sevens is also your only chance to watch England in action on the hallowed turf at Twickenham before they compete in the Rugby World Cup Sevens in San Francisco in July. "This season has already seen the England Sevens travel to some incredible locations around the world to represent their country, but nothing can beat playing at a home tournament in front of friends, family and incredible home fans," said England Sevens head coach Simon Amor. "The feeling of running out onto the pitch at Twickenham, regardless of whether you're making your debut or whether it's your tenth time, is so special and it means a huge amount to the players to have such strong support in the stands. Make sure you get your ticket and get behind the boys in June this year." 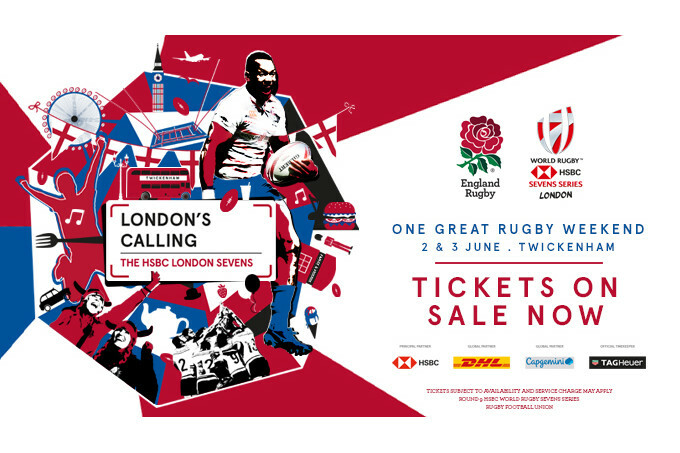 Supporters are encouraged to celebrate the diversity and uniqueness of London with food and entertainment all under one roof at Twickenham Stadium, alongside two days of non-stop rugby sevens action. Tickets for 'London's Calling' are available, here.